Dibyendu Mitra an Indian Proprietor of Mrinalini Inn, Kolkata. He holds National Diploma in Design from the Cetral School of Arts & Design, London. He is a member of Rotary Club of South City Dist 3291. He is also President of Society for the Visually Handicapped, Kolkata. 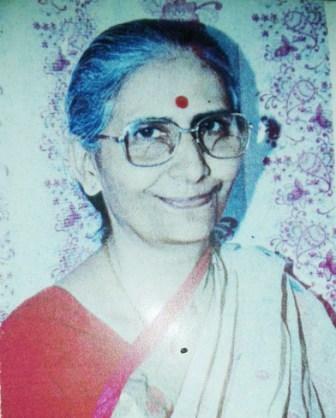 Argha Kusum Dattagupta is an indian retired person. He holds a Bachelor of Arts. He is a founder member of the NGO SAMATAT and a member of the society for the Visually Handicapped. He is involved in social work for 41 years. Arun Kumar Basu is an indian retired Senior Executive of a Multi National Company. He holds a Bachelor of Science (Cal) and a Bachelor of Science and Technology (Manchester). He has been President and a member of Rotary Club of Sonarpur. He is a member of Society for the Visually Handicapped and is involved in social work for 26 years. Dipesh Guha Roy is an indian retired Head HRD of a Public Sector Organisation. He holds a Diploma in Social Work from Indian Institute of Social Work and Business Managemant (Calcutta). He is involved in social work for the last 11 years. Chitra Basu is an indian retired person. She holds a Bachelor of Arts (Cal). She has been Rotary Anne of Rotary Club of Sonarpur. She is involved in social work for 26 years. Marie Paule Baudot is a belgian retired professor of the Leuven University and holds a Doctor's Degree. She is a founder of WIN Organisation. She is involved in social work for 26 years. Josef (Tor) Mutton is a belgian retired Director of a Computer Software Company. He has been the Secretary General of European Computer Services Association. He is a cofounder of WIN Organisation. He studied Finance and Management. He is involved in social work for 26 years.